Grace Jackson was born on the 25th of October 1923 at 50 Ash Street in the Bastwell district of Blackburn in Lancashire. She was the fifth of nine children born to Isaiah Jackson, a Journeyman Millwright, and his partner Florence Ward. At that time, Grace's parents were sharing the house in Ash Street with Isaiah's brother William and his family. They stayed there until 1934, by which time there would have been four adults and at least eight children in the house, which was a typical 'two-up two-down' in a terrace. Overcrowding may have prompted the move but it is more likely to have been the death of Isaiah's wife, followed quickly by his marriage to Florence in April 1934. The family briefly moved into 1 Culshaw Street in Blackburn but were at their final home of 15 Cromwell Terrace in the Audley district by 1937. No school records have been located for Grace but it is likely that she would have attended Brookhouse School on Whalley New Road whilst they lived in Ash Street, then Audley Range School when the family moved to Cromwell Terrace. At the age of 16, Grace was working as a Sewing Machinist but soon after war broke out, women were encouraged to take on some of the work previously done by the men who had gone to fight. She became a Capstan Lathe Operator at the Rosehill Foundry of Willan & Mills on Higher Audley Street. It was there that she met a young man called 'Jack' who had the same surname as her. He was working as a Capstan Lathe Setter, so there would have been lots of opportunity to talk to each other. Just a few weeks after they married, Jack was called up for service with the Fleet Air Arm. As an aircraft engine mechanic, Jack was never in harm's way and returned safely home in April 1946. Jack and Grace rented a house in Maudsley Street, where, in 1947 their only child Norman was born. 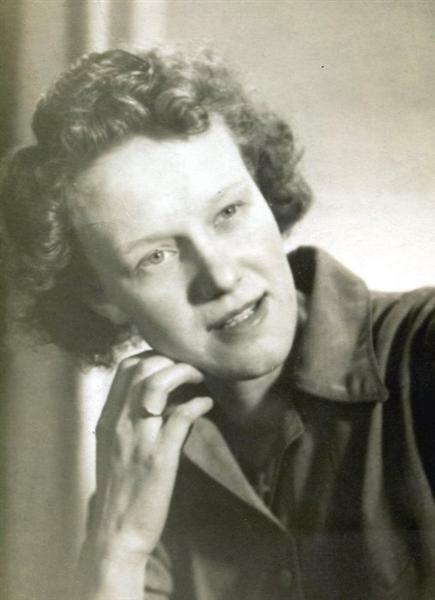 Grace continued to work and had various jobs; making car batteries with Park Brothers on Ordnance Street, Shop Assistant with a Dry Cleaners on Darwen Street and finally as a Machine Operator at the Royal Ordnance Factory. Around 1960, the family moved into a newly built flat in Parkwood Road near Queen's Park. Then In 1967 Jack and Grace moved to a newly built detached bungalow in Marquis Close, Lower Darwen. They had a garden for the first time, which they both enjoyed. It was soon after the move to Marquis Close that Grace had two serious medical problems. Firstly, she accidentally knocked a pan full of boiling water over herself and suffered extensive scalding, needing a stay in hospital. Secondly she developed a heart problem - this was attributed to Scarlet Fever that she'd had as a child. She underwent major open heart surgery in Blackpool Victoria Hospital to stretch the Mitral Valve. After Jack died in July 1980, Grace bought herself an Automatic Mini. Although she had a licence she had never done much driving before that. Marquis Close held too many memories of Jack, so Grace moved to Greenhead Avenue in the Little Harwood district, which was close to her older sister Olive. In 1984, she began to experience heart problems again. An appointment was made for her to be admitted to Wythenshawe Hospital in Manchester for a few days in order to carry out tests and decide upon treatment options. Sadly, Grace passed away on the 15th of June during the first night in hospital and before any tests had been done. Her funeral service took place at St James's Church at Blackamoor and was well attended. It was followed by a short service at Pleasington Crematorioum. There is a memorial stone to both Grace and Jack, over their ashes, in the Garden of Rememberance behind St James's Church.